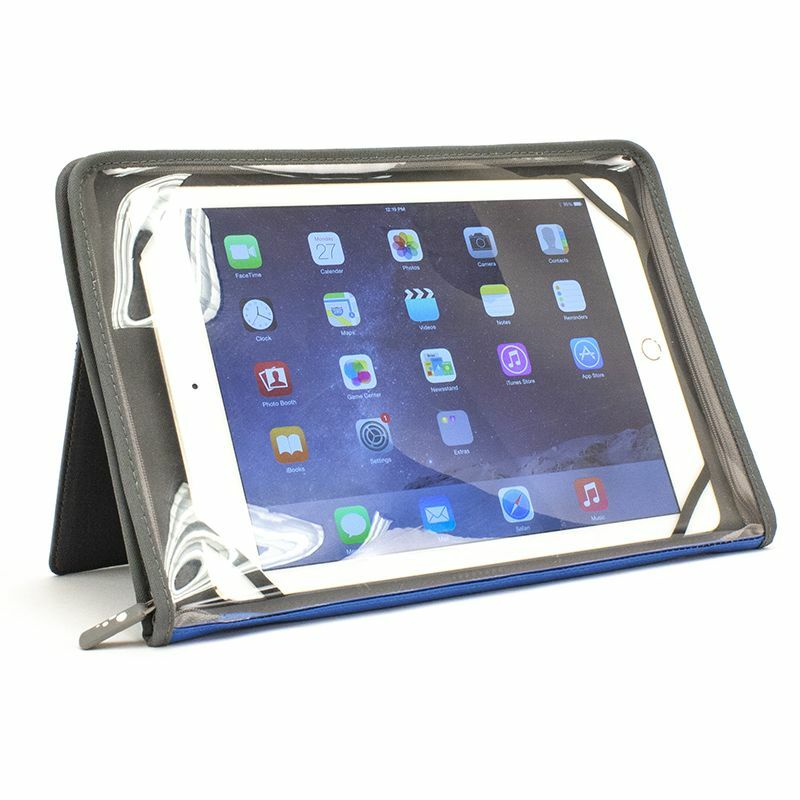 The Splash case is a universal semi-waterproof tablet cover with transparent vinyl front, fastened with a zip. The Splash case is above all a useful extra case for occasional* boat trips, or for use when travelling, hiking or by the pool. It offers good protection in case of accidental spraying or when used with wet hands or clothing, but is not intended for permanent outdoor use. 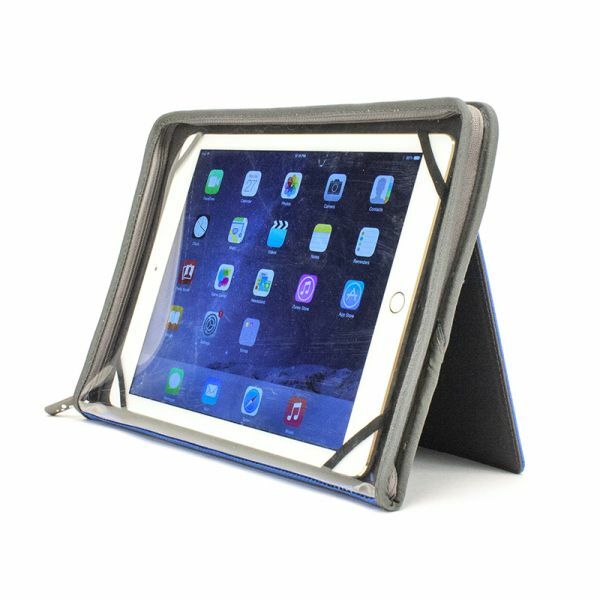 *If you own an iPad and want to use it in marine navigation, we strongly recommend the aiShell cases, much better suited for extended use in boats. 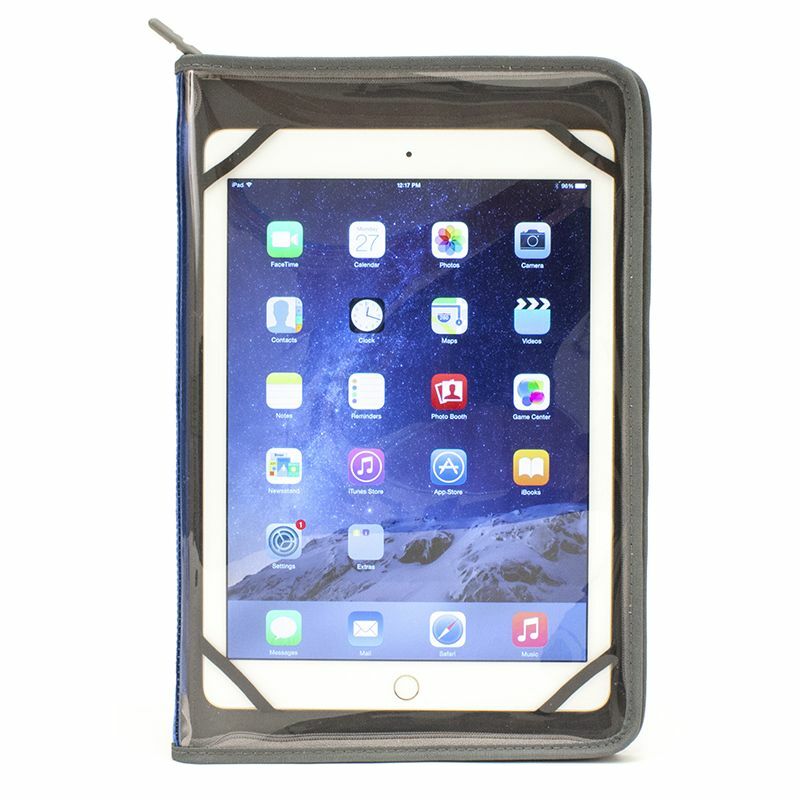 The transparent vinyl film allows easy access to the touch screen and front buttons. 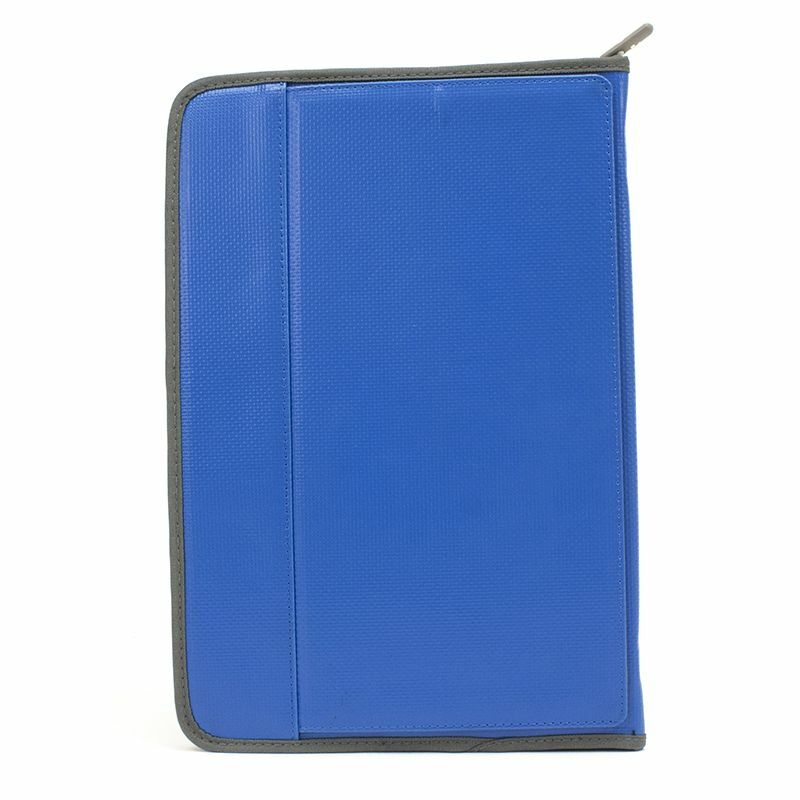 Depending on the tablet model, access to the side buttons may need to open partially the peripheral zip. The Touch-ID cannot be used (the screen will be unlocked with the code). Attention also, only the front camera is usable. The case offers a good grip and holds well the tablet inside (non-slip rubber inner surface + straps in the corners). It offers relative shock protection thanks to its rigid back and inner straps. An integrated stand makes it possible to make it stand straight to view a film for example. It contains a magnet to stay closed during normal use.